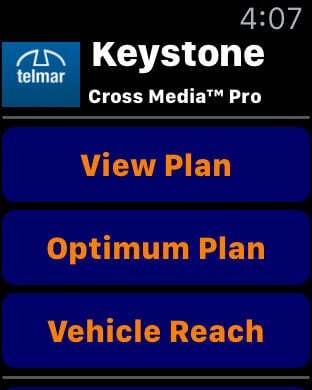 NOTE: This Pro version of Telmar's Keystone Cross Media is exclusively for existing eTelmar subscribers and requires login with an existing eTelmar user name and password. For non-eTelmar subscribers, a separate paid version of Keystone Cross Media is also available here in the App Store. 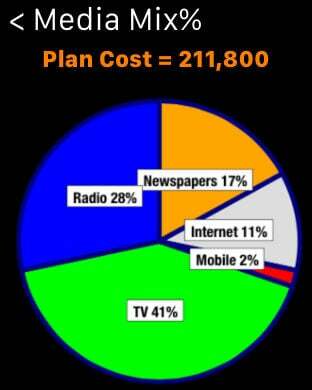 Telmar's Keystone Cross Media™ helps media and marketing professionals create better advertising plans on the go. Users have access to stored demographics or can input their own consumer markets, audience and cost data and use them to generate comprehensive media plans. Keystone then uses Telmar’s exclusive methodologies and algorithms to convert audience and schedule preferences into reach and frequency estimates* for every medium in an ad schedule. Keystone also weighs the impact of a user’s message and media vehicle type and demonstrates the results of switching money or advertisements from one medium to another. - Analyze cross-media or single-media schedule delivery. 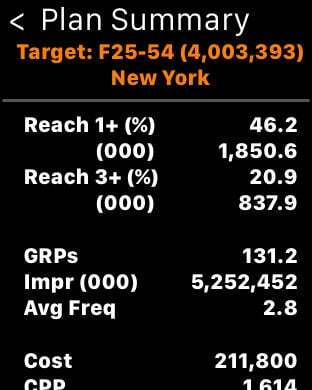 - Optimize media plans by setting reach, frequency and expenditure goals. - Deliver reports with tables and graphics for individual and mixed media plans. - Export and email Keystone reports. 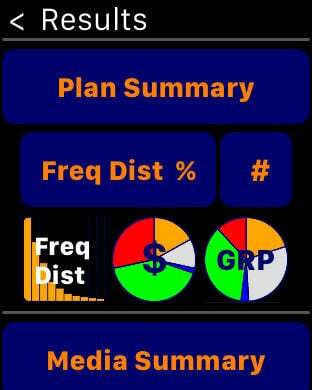 - View and edit media plans on Apple Watch. Telmar provides strategic targeting and media planning solutions to advertisers, agencies, media companies, and data suppliers. Over 25,000 users across 100 countries use Telmar systems to analyze thousands of consumer and media data sets to assess target markets, audience reach and frequency, and media performance. Data sets can be either syndicated data to which rightful access has been granted by the data supplier, or customers’ own proprietary data. Telmar provides data integration services which support fix fusion, ascription, and Telmar’s leading data integration technique: MultiBasing™. Telmar’s platform of systems are cloud based with applications available via desktop browsers and iOS mobile. API web services are available for access to Telmar analytic engines to support customer custom needs. 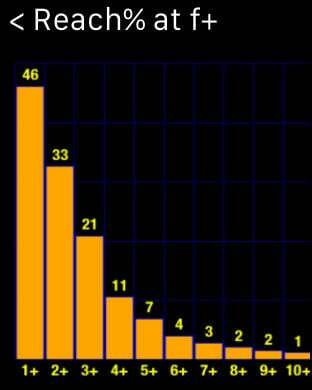 * reach curves are modeled on media audience data in the United States.